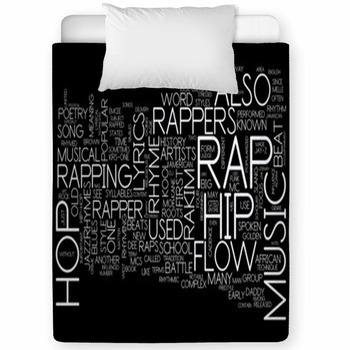 Encourage your kids to grow up understanding and loving the music styles you love by decorating their nursery with our hip hop themed bedding. 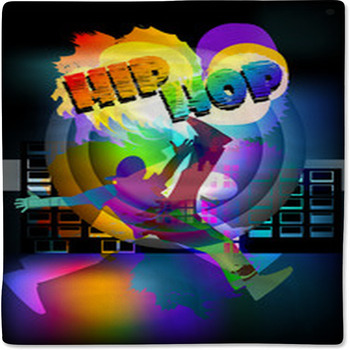 The wild coloring and abstract patterns of hip hop graffiti and fashion are perfect for babies. 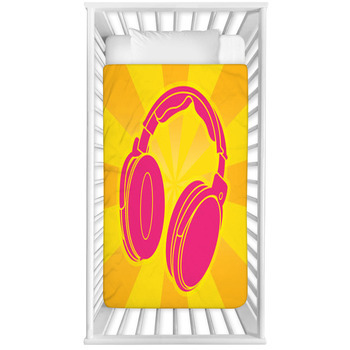 Give your little ones crib bedding that features a DJ with black headphones and a black t-shirt set between four silver speaker heads. 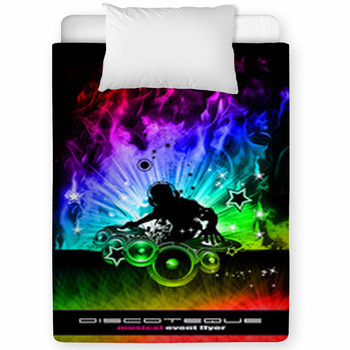 The jams he's playing on his turntable are represented by looping rainbows of purple, blue, green, orange and red that roll across a tan baby bedding background patterned with splashes of colorful paint. On another vibrantly colored hip hop baby bedding design, a classic yellow vinyl turntable is surrounded by a patchwork of black and white hash marks, red and purple butterflies and green squares. Babies also love to dance as soon as they can stand up. 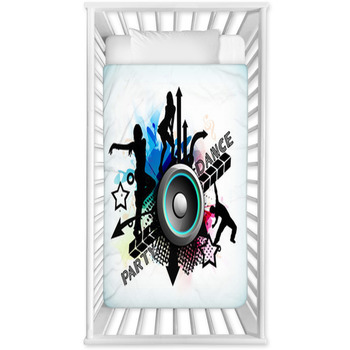 So give your baby hip hop baby bedding that shows scenes of the ultimate dance music. You wont believe how cute it is to see an illustration of five guys and girls enjoying the freedom and joy of hip hop dancing on a baby blanket. 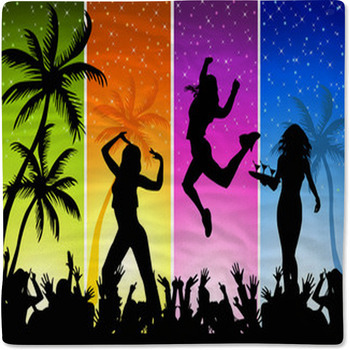 This fun group are seen as black silhouettes waving their arms and moving their hips in front of the bright red walls of hip hop club. 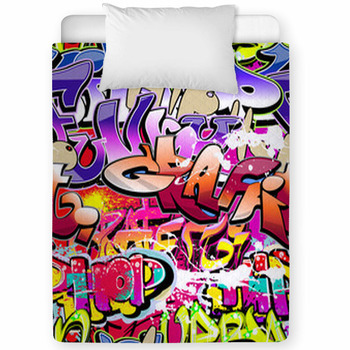 We also have custom toddler bedding for those kids who are already big enough to have a few hip hop moves of their own. 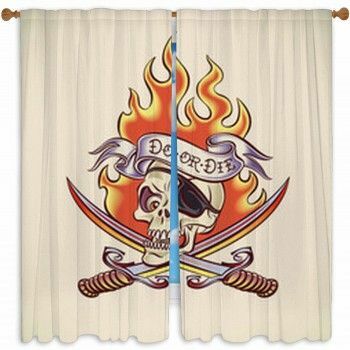 Your toddler will be amazed to see a blanket that features the illustration of a breakdancer with braided hair, a pink headband, a red t-shirt and orange shorts doing a one-handed handstand on a an urban sidewalk. 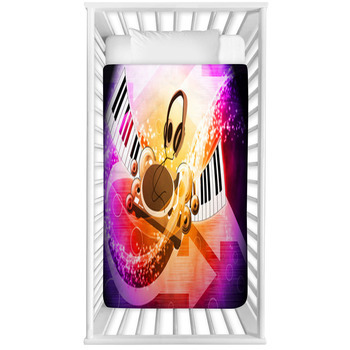 The purple night sky and yellow lights in gray skyscrapers behind him add more hip hop attitude and more stimulating imagery to this baby bedding design.